Sebastian Barry has won the Costa Book of the Year Award after narrowly losing out in October’s Man Booker prize. The Irish novelist was announced as the winner at a ceremony in London on Thursday 27 January. The winning book, The Secret Scripture, has been described as a moving account of a woman’s stolen life and her efforts to reclaim the past. Barry was the bookmaker’s favourite to take the £25,000 prize beating what many considered to be the most acclaimed shortlist in the prize’s history. Sebastian wasn’t the only winner first time bestselling novelist Sadie Jones and her book The Outcast won the first book award whilst 91 years old Diana Athill became the oldest short listed winner for her historical memoires Somewhere Before The End. Each shortlisted winner will take home £5,000 whilst the Sebastian Barry took home £25,000. Has anyone read The Secret Scripture? What is it about Irish writers that makes them stand apart from some of their English counterparts? The Greenhorn Novelist Blog – Post One, Part Two – Where does a story start? Our Greenhorn Novelist Richard Walsh continues his engaging first blog post this week. In part teo he talks about how he was inspired to take up a novel idea he had long buried. 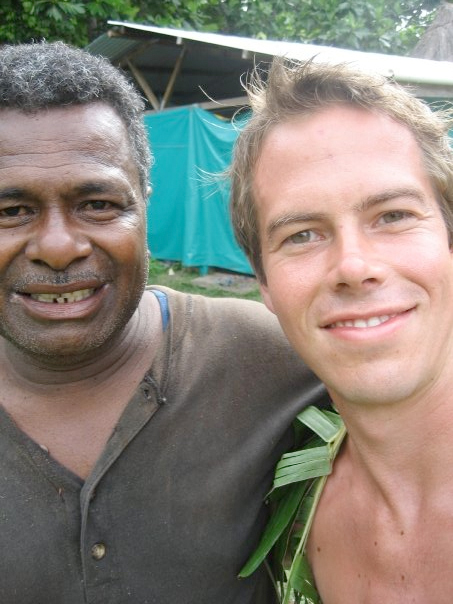 Having seen the potential in a story he had long abandoned his travels in Fiji encouraged him to develop it and now he is part way through finishing it as part of his first publishing deal. Having penned several short stories it’s now time for Richard to step up a level to the literature. Read on to find out how Walsh managed to go from student to prospective novelist in the space of a few months. I was in Fiji, travelling. I was sleeping on the floor of a friend’s hut. She’d gone to bed. The jungle night hummed. Geckos sprang ambush on the plywood ceiling. We had a television: battered, old, with a furry picture. An Australian documentary about a Scottish criminal two hundred years ago came on. I watched, marvelling at the randomness of it all, and half an hour later, I knew I had my question. I’m not going to tell you what it was. I can’t; not yet. If this book gets published, you can buy it. If not, I promise I’ll tell you. The service sector welcomed back their errant son with open arms. It’s strange: this single idea is the seed for the whole book. It powers it, giving my protagonist her life and reason and journey. In trying to answer that story question, I know what the book is about. It connects the different fragments of my vision. I found a beginning, several middle sections and a vague ending. As new characters appear, I ask questions about them: and suddenly they have lives, and they began to move about, to talk and hate and love one another. Each is a new branch, now running through with the story sap. I’m not recommending that as a way of writing a book. I think it is best to have the central story question first, and then weave through characters and scenes and feelings. But hey, that’s what happened to me. It’s a historical novel set in America, with a teenage boy and girl as the central characters. I suppose it is what is commonly referred to as a crossover book, although I never designed it as such. I just want it to appeal to as many people as possible. I’ve always wondered whether the increasing categorisation of books (“pre-teen; young adult; crossover; literary fiction; fantasy etc.”) has led to readers being increasingly loathe to venture outside the walls of their designated section. That a child has little chance of sampling the complex food of a Dickens or Swift, or a sci-fi fan the gritty delights of John Fante, annoys and worries me. The writing is often not easy. Writing time has to be carefully garnered and jealously guarded, against the demands of earning a living and keeping some kind of social life. Everything takes longer than expected. Careful research is needed, scores of books to be pored over and digested. I feel like I’m lagging behind the friends with whom I did my MA. They have finished their books: many have agents; a few have deals; one or two are fabulously wealthy. I suspect I’m just a bit slow. But even in the barren times I write. It may be only a few lines, but each evening and morning and weekend it proceeds. It becomes slightly more complex; words and lines appear; paragraphs are lopped away, the new shape admired; the cursor crawls ever onward. Not for me the endless unspooling of words on butcher paper. I can’t do it. I normally sit and groan and curse the words I have written. But then there are the secret times, when suddenly the blocks give way and you are writing and flying, struggling to get the words out fast enough and it feels, mysteriously and wonderfully, like it isn’t you writing. These are the moments that writers hunger for. Once experienced, this surrender of the self cannot be forgotten. If I am lucky, I have this feeling perhaps a couple of times in a week of intense writing. It comes more often when (self-imposed) deadlines loom. Want becomes need becomes desperation. It is a whole body experience, and you pace around the room, acting out your characters’ parts, peering at your face in the mirror as you form it to their faces— now the old man, stooped and limping, looking at his tall son with pride, and what else? A shadow of jealousy, of regret?— now the young girl laughing with her friends, pretending to understand their smutty jokes— and then rushing back to the desk to tap out the words that have suddenly blossomed in your mind. Method writing, if you will. Marvel at the intensity of Dickens’ public readings (they made him ill): this, and more, is the intensity with which he wrote. This is Shakespeare’s writing at midnight: conjure a play in a double handful of weeks to please both the illiterate groundlings, upon whose pennies the theatre survives, and the hyper-learned, the Greek- and Latin- steeped of the noble boxes, whose patronage you have to win and keep from the companies of your rival players. This is the secret feeling, the muse. Writers don’t talk about it much, lest it go away. I am at thirty thousand words now. Onwards! Richard Wals will be returning in the coming weeks with a second instalment to his new blog, The Greenhorn Novelist Blog. What do you think of Richard Walsh’s first blog? Was it helpful? What would you like him to discuss in his next Scribbler offering? If you have any questions to put to Richard pop them in the comment box below and he’ll get right back to you. The Greenhorn Novelist Blog – Post One, Part One – Where does a story start? Richard Walsh is writing his debut novel. A colleague and friend of the editor, Richard is going to be producing a greenhorn novelist blog exclusively for The Scribbler for the foreseeable future. During the series he will discuss his experiences in the industry so far including communication with publishers, agents, the processes of writing, developing ideas, nurturing characters and will touch on every aspect of the craft. In this, the first part of blog post number one (Richard was so keen to do what comes naturally he wrote a lot more than anticipated. Not that his enthusiasm is a bad thing – Ed), he talks about how the idea for his first novel came about and how much it has already progressed. As more posts are published the more he’ll reveal about life as a working novelist. Please read, enjoy and feel free to comment. Richard will be on hand to answer any questions, comment on your responses and generally be open for discussion on what he’s written. Where does a story start? Thirty thousand words deep, this is the story of how mine began. Seeing as its incipient ideas have been rattling inside me for the last three or four years, quite possibly in the least efficient and effective way possible. It’s been a protracted labour. I hope I’m entering the final trimester. Epidural, anyone? Ravelled in with that question, because this is my first novel, is the question of where does a writer start? I can’t claim the title of writer yet, I think. I am, I hope, a work in progress. My credentials: I’ve written a few short stories, I’ve an MA in Creative Writing, and it’s what I spend almost all my spare time doing. So, then, these reports are not from a published sage, but rather an ink-spattered greenhorn. Dispatches from the front line, with an aim to providing comfort, advice and warnings. Four years ago, when I was living in London, I started playing a game. I would ask myself questions about people on buses, in the street, in shops: what’s his story? Where is she from, and where is she going? Does she regret that tattoo? Were they happy when they got up this morning? Will they still be happy when they go to bed tonight? The most incidental of objects or occurrences could be the spark for an extended reverie: a torn-off pigeon wing on the pavement, a rag of bright flesh still adhering to the feathers; a woman stepping from the dentist with half her face drooping as if struck by a stroke. I didn’t know I wanted to be a writer back then. Although I’d always read voraciously, the thought had simply never occurred to me. I didn’t have a degree in English or Drama; I’d studied Geography. Interesting enough, but not one that had ever raised notions of future literary greatness. To be a writer you had to be born to it, or selected in infancy, fed with regular dollops of bookish royal jelly so I had a proper life. I even got a proper graduate job. That first morning, when I walked to work over London Bridge in the dawn with the grey tide of commuters, I was filled with pride and excitement. I loathed it with an intensity that shocked me. I stuck it for a few months, and spent a miserable winter trying to work out what the hell I was going to do. I think the daydreams were some kind of defence mechanism, a pressure valve. As I became more and more frustrated and unhappy with the direction my life was going, they played more frequently. I was haunted by them. Multi-sensory visions, fat with smells, textures, sounds, emotions, on public transport, at dinner, in the middle of the night, in the shower. Finally, I bowed and cracked. I started writing down these scenes, and turning them into short stories. I discovered I was quite good- not great, but not horrific- and, more importantly, I loved it. I didn’t just have to read: I could write. I quit the proper job. I went back to my home town. I enrolled on an MA in Creative Writing. A year when all I did was write and read and talk writing with like-minded people; for me, quite magical. It was during this time that the ideas that would form my current novel began to appear. They came as a series of visions, or even a feeling in the gut, rather than springing from a central question or dilemma, which were the usual starting points for previous stories. A girl in a tower, high above a city. An old man running through crowded streets. Wading birds probing mud, and the sun coming up above the Atlantic. Brief, vivid, fleshy vignettes playing in my mind. The problem was I didn’t have a central story or question. All I had were characters and places in search of a story. They exasperated in their tenuousness. All this golden straw and no baler-twine. I knew the place and the time. I knew who. I didn’t know what or why. I tried out different stories. None did the feeling justice. What did these characters want? What was the question? Nothing worked. In the end, I buried that novel, and turned my attention to other stories and projects. It was only in March last year, that the story clawed its way back to daylight. Tune into The Scribbler next week for the second part of Richard Walsh’s greenhorn novelist blog, part one. Have you got any ideas you want to develop into a story? Got a question for our blogger? Comment, discuss and ask away using the comment below.